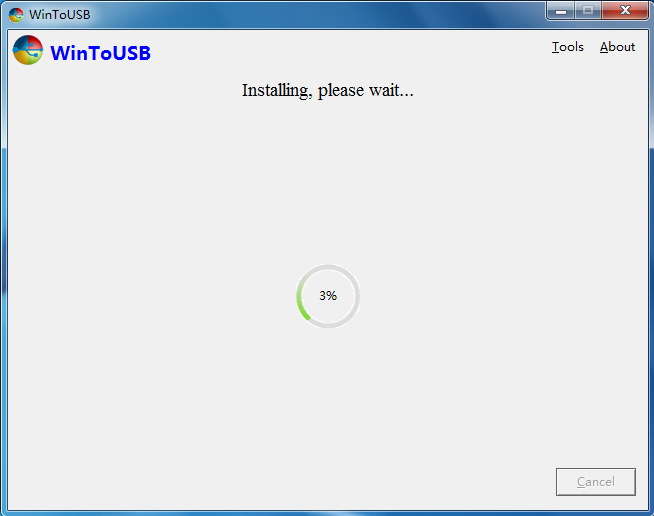 Click to open the WinToUSB installation file. Follow the steps in the setup dialogs. You'll have the option to specify where to install WinToUSB. 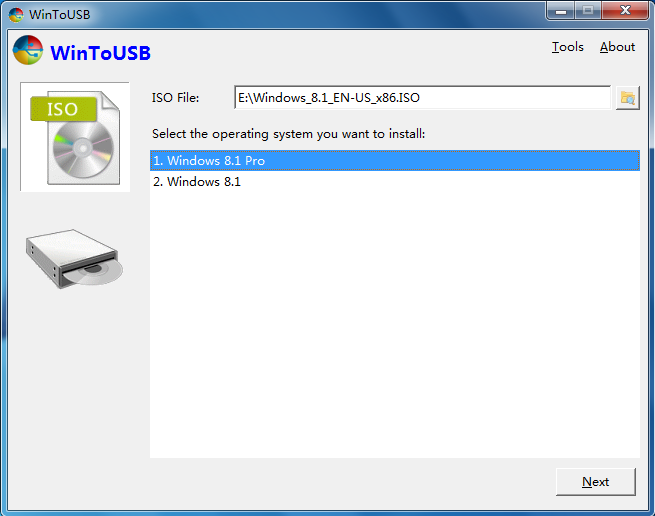 Connect the destination USB hard drive or flash drive to the computer with an installed copy of WinToUSB. Image File: If you have a Windows image file, click the button, then click the button and select the file from the open dialog box. CD/DVD: If you have a Windows CD/DVD, insert it into the CD/DVD drive. Once Windows is detected, click button and select the CD/DVD drive in the drop-down list. WinToUSB scans for and lists installable operating systems. If you see the version of Windows you want to install, select it, then click “Next”. Select the destination disk in the drop-down list. 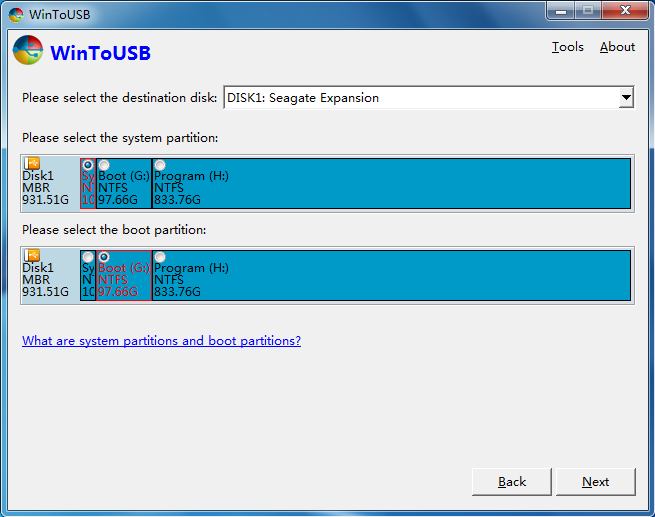 Select the boot partition and system partition from the partition list, the selected partitions will be marked as red. Click “Next”. After clicking “Next”, WinToUSB begins installing Windows. It takes some time to install. After installation restart the computer and change BIOS to boot from your USB drive. Windows installation starts up and you have to complete all the installation steps. You will have to boot from your USB drive if the Windows Installation restarts the computer.